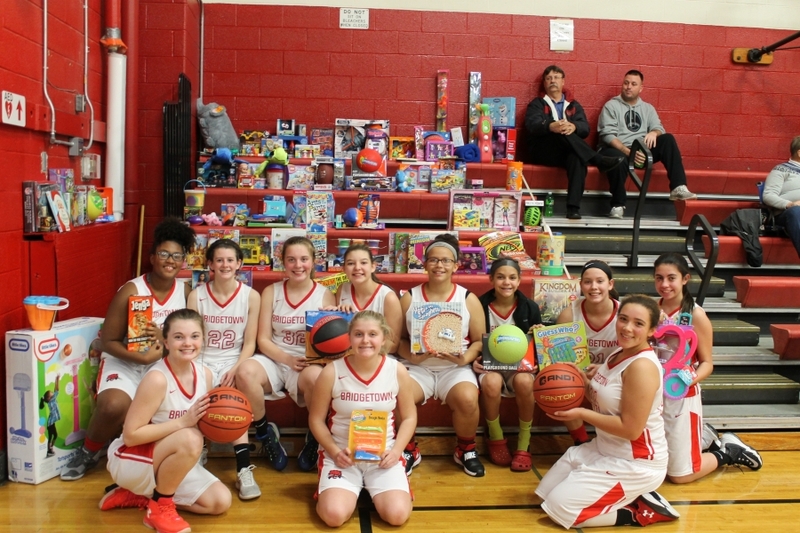 Bridgetown Middle School's basketball program recently held their Marine Corps Toys for Tots basketball games where spectators could bring a new, unwrapped gift and get into the game free! Both the boys and girls programs participated and collected more than 11 bags of toys, Toys will be donated to needy families so that less fortunate children will have a great Christmas. Thanks for giving back, Bobcats!